Karl is a former gang leader turned activist, influencer, poet, public speaker, philanthropist and adventurer. Having grown up on the gang-ridden Myatts Field estate, Karl saw his first shooting at the age of 12 and went on to be shot at, stabbed, cut in the face and witness to his close friends’ murders. It wasn’t until the intervention of a Church-run anti-youth violence project that Karl was able to denounce his gang involvement and turn his life around. Now a successful campaigner, Karl works to reform gang culture and fight for social justice. 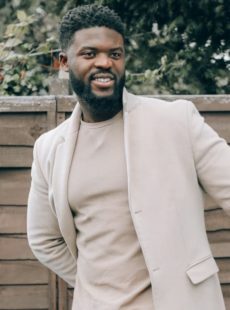 He volunteers with the charity Youth in Action and is the ambassador for Big Change where he plays a large and prominent role offering insights into the world of young people. Karl recently completed a two week charity climb up Mont Blanc with mentor and good friend, Sir Richard Branson, as part of the Virgin Strive Challenge 2018, and continues to support reformation and rehabilitation through his tireless community work and public speaking. Karl is a gifted orator and poet and his exceptional ability to captivate and connect with an audience means he is regularly invited to speak at corporate, public and charity events including TEDx Talks. He is also a talented musician, singer and rapper having supported the likes of Plan B and released a number of singles such as “Conflict” and “Emotionless”. Along with his wife Cass, Karl has a loyal following on social media where he documents their life together with son Lyan, offering snippets into their daily activities and providing motivation and support to those who look to Karl for guidance. The story of his incredible transformation, combined with his rare ability to connect with people on a human level, makes Karl undoubtedly one of the most potent young voices in the country.